It may have been a slow start but spring is finally here. Just as we recommended you prep your curls for the harsh cold of winter, the same goes for getting your curls ready for spring. What worked in the cold, dry months of winter might not be as effective as the air starts warming up for spring. Now is a great time to do some spring cleaning in regards to your curl care regime, and make changes as needed! While pre-pooing can be helpful in retaining moisture during colder months, it may or may not be necessary during warmer months. In the winter, you might pre-poo your hair for up to 30 minutes, but once spring arrives you could consider cutting back the amount of time you pre-poo or how often you do it. Whether you co-wash or shampoo in the winter, you might need to consider switching it up for warmer months. co-washing can help your hair from becoming dry or frizzy in the winter, but might not be necessary in the spring. Consider switching over to a gentle shampoo for cleansing and use it to remove build up from your scalp due to sweating and products. While you might have needed to deep condition your curls a couple of times a week during the winter, you might be able to cut back now that warmer weather is approaching. 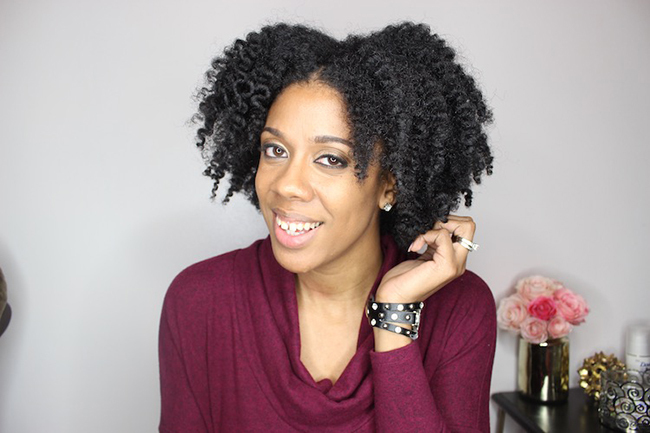 If your curls aren't too dry, you could consider cutting your deep conditioning sessions back to bi-weekly. In harsh cold of winter can wreak havoc on your curls. Some curlies need to use more and heavier products to keep their curls healthy. While heavy oils and butters can help seal in moisture during the winter, once spring has sprung it might be time to transition to some lighter products. Grapeseed and almond oil are perfect when you need some lightweight moisture. Styling can be tougher in the warmer months, as heat and humidity can wreak havoc on delicate curls by causing swelling. This is a great time to utilize your favorite second day or protective style. Don't be afraid to rock some braids, a scarf or a cute headband! For more tups on how to transition your hair over to a spring curl care regime, click here.